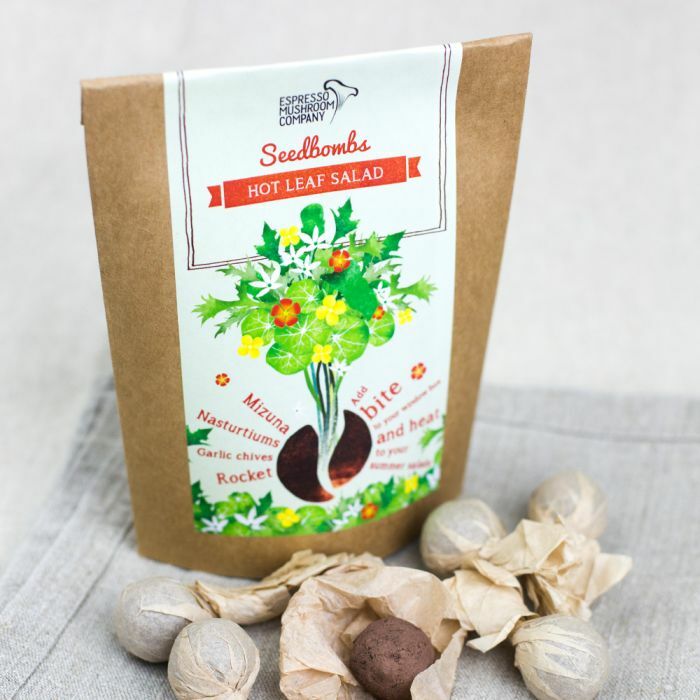 Fresh leaves, bright flowers and flavoursome foliage will explode from these ingenious seed bombs! 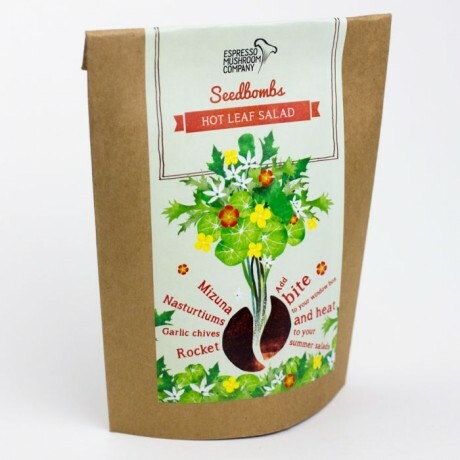 Use them to add bite to your windowbox and spice up your summer salads, or give them as exciting gifts to gardeners with limited space or cooks who love fiery flavours. The pack comprises six handmade balls, each containing 100 seeds of the following varieties: mizuna, nasturtiums, garlic chives and rocket seeds, all carefully blended with clay and special Espresso Mushroom compost. 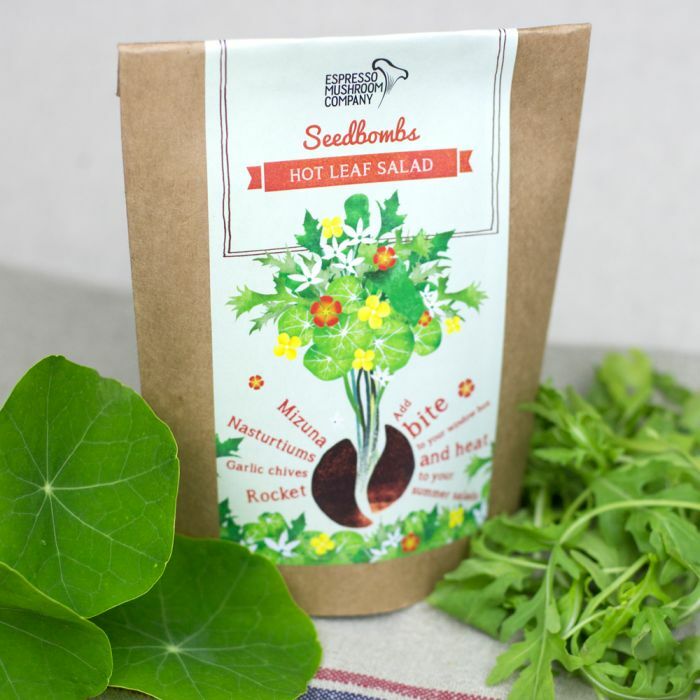 Harvest: Keep an eye on the leaves and snip a few off whenever you want to liven up your salad!